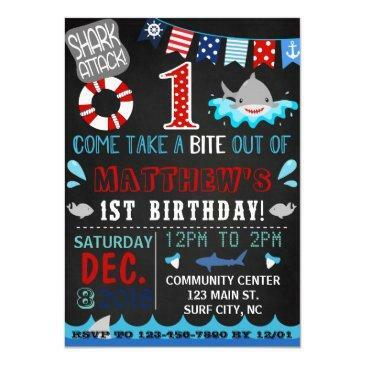 Celebrate your little shark's birthday with their favorite song - Baby Shark! 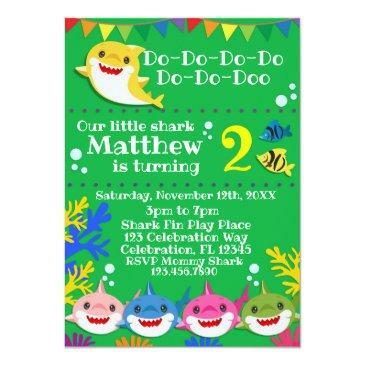 This bright pink and colorful shark family invitation will be a hit for your party. Features all of the shark members - Mommy Shark, Daddy Shark, Grandpa Shark, Grandma Shark and of course Baby Shark. Bubbles, fishes, and corals add fun little details to the invitation. Great for any Under the Sea parties or shark parties. Graphics by Mujka.